Francis Moran & Associates > Content marketing > Is your job as social media expert about to become obsolete? Is your job as social media expert about to become obsolete? 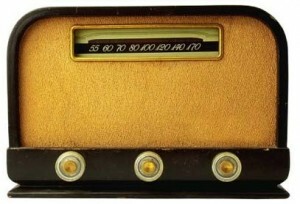 When radio first came on the scene, getting the little box with its seemingly-magical mechanisms that plucked sound waves out of the air to actually make noise required users to know how radio worked. For most early radio adopters, it actually required them to build their own radio sets. As time went on, though, knowing how to operate a radio became common knowledge, and nobody had to be taught how to do it. That didn’t mean that the builders of radios and the programmers of good radio content became obsolete; it just meant that pretty much everybody knew how to use the tool while others, the experts, were still valued for their ability to build the tool and make it useful. This is exactly why I use the radio analogy, and why I think it applies so perfectly to what we’re seeing in social media. Just like early radio, the social media landscape was colonised by enthusiasts who enjoyed using the new tools and teaching others how to use them. Since there was little in the way of ready-built applications, many of those early enthusiasts had to build their own tools, which meant they had to learn about the inner workings of social media networks. Just like radio pioneers. And both sets of early adopters spent most of their time talking among themselves, before expanding adoption opened up the opportunity for broadcast activities that required the development of suitable content. Today, nobody needs to know how a radio works or how to build one to be able to receive radio content, and that day is rapidly approaching in social media, which may be what Workopolis’s Talbot was getting at. Left unsaid in her analysis, though, was Hunt and Chamberlain’s — and, frankly, my own — assertion that just knowing how to participate in social media does not make you an expert in the critical functions demanded by these new communications media, functions that will persist long after everybody learns how to turn them on and tune in the programming they want. Key among these will be content development and distribution. Just as radio needed to develop unique content that worked best for its exciting new capabilities and to build out broadcast networks to share that content, social media needs to develop content that works best on its various channels and to build out its own unique — and, as Hunt points out, two-way and participatory — content-sharing models. If your social media expertise is built on nothing more than your familiarity and ease of use with the tool set, then get ready for your extinction event. If, as Hunt argues and with which I am in violent agreement, your social media expertise is built on pushing old-style marketing messaging one way down new, bi-directional and participatory channels, then go stand next to your fellow dinosaurs awaiting the comet. But if your social media expertise is built on understanding that the ubiquitous facility with social media that this and future generations will exhibit necessitates new kinds of content and new ways of sharing that content, then your expertise is in desperate demand today and will safely continue to be so for some time to come. Great post! It’s obvious that I’ll agree…but I want to add one more thing. I was having this conversation with someone this morning. I believe the companies that will excel in the future are those that understand that social is ubiquitous, not an add on, to all marketing. I’d love to see really smart social web thinkers become the CMOs and think of everything through a social lens. You can find answer to this question through social and, quite often, deliver the goods through social. And that is what why it’s so damned awesome.